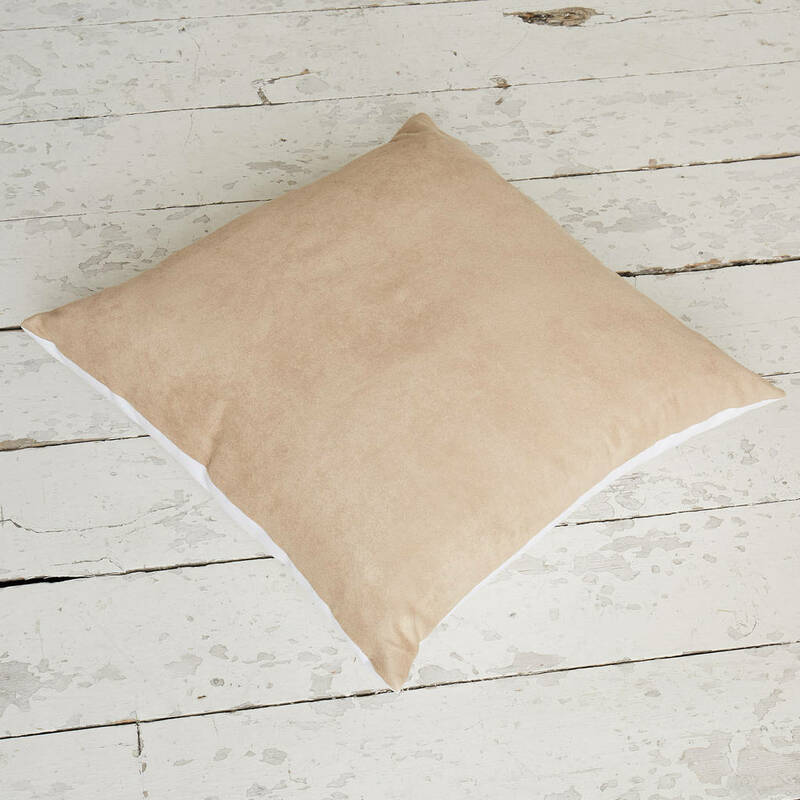 A luxurious faux suede cushion personalised with your names and two lovable illustrated bears. 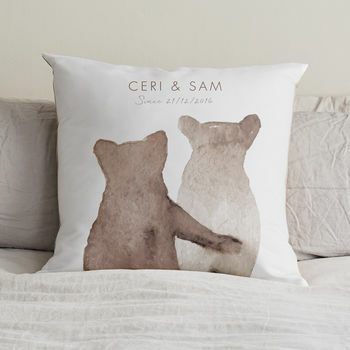 Display yourselves or a much loved pair of watercolour style bears on a super soft personalised cushion. 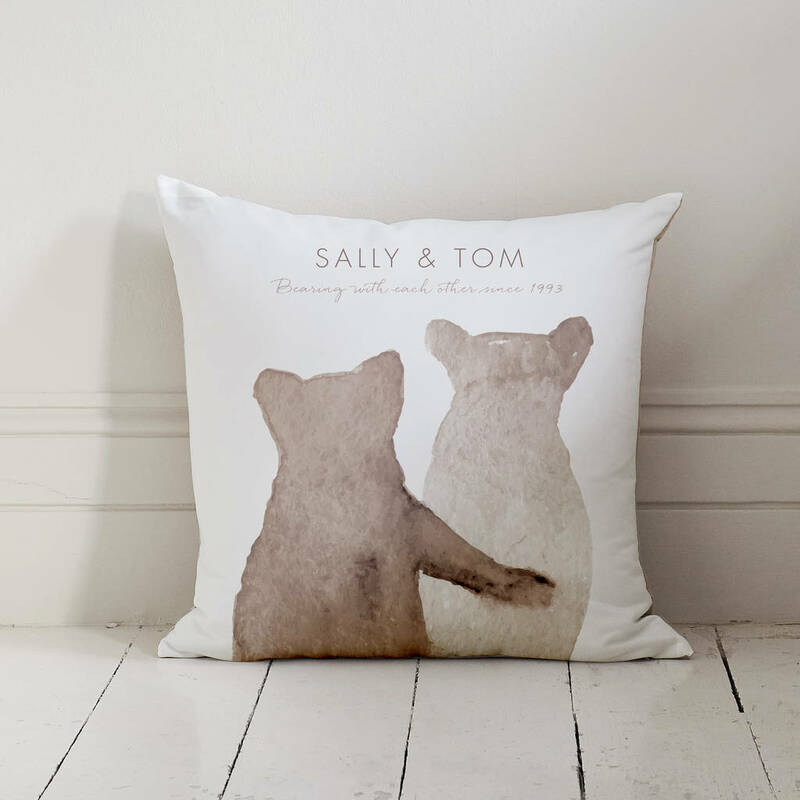 This personalised faux-suede cushion makes a great personalised gift for a favourite couple, mother and child, father & child, best friends, grandparents or a lovely addition to your living room or bedroom. 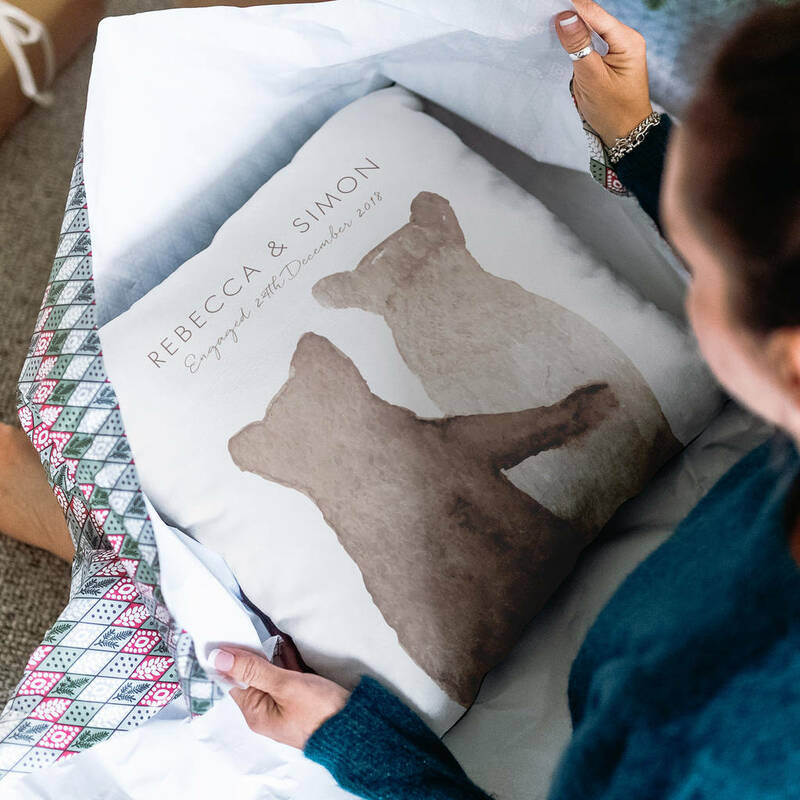 An ideal Mother's Day gift featuring your and your Mum, simply personalise with your names or a special message to appear below the bears. 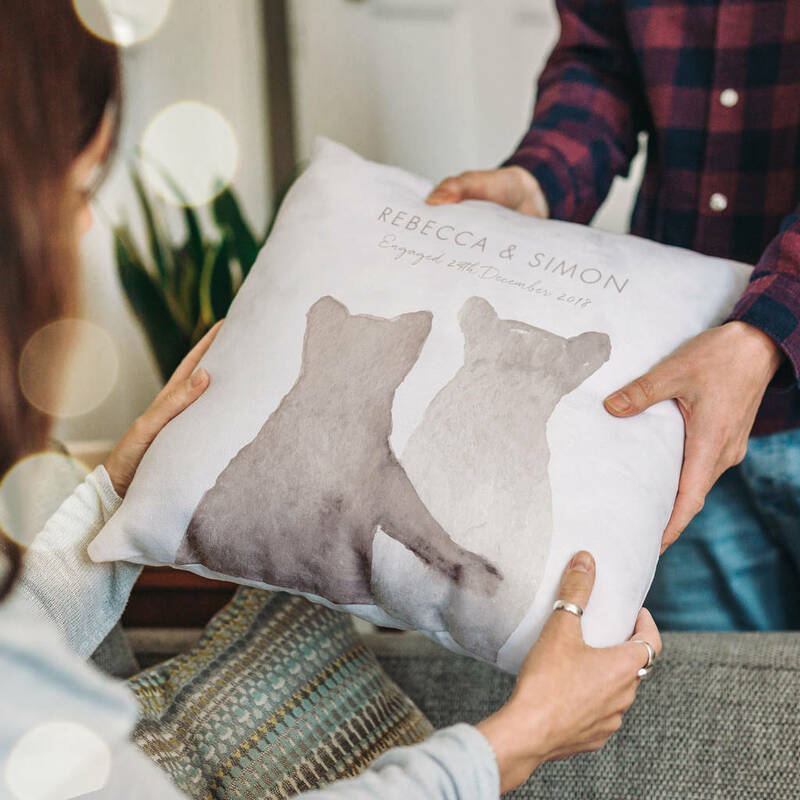 This luxury cushion also makes a great gift for family or friends - as a new home gift, wedding gift or anniversary gift for a special couple, or for a birthday gift for a best friend – displaying your names or a special message of friendship. Let them know you love them 'beary' much! 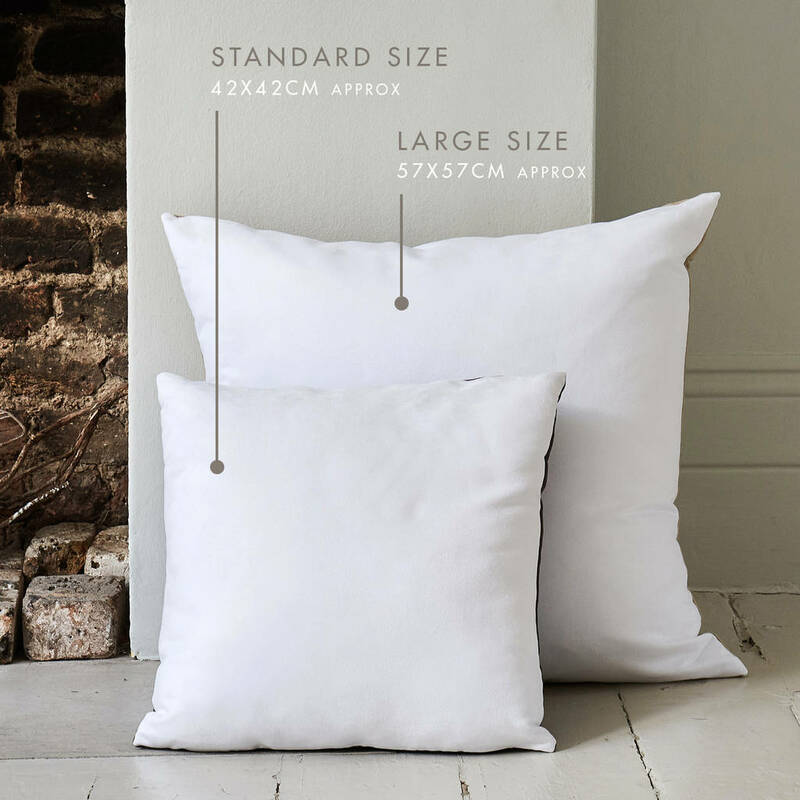 Our luxury cushions are created especially for you, with a concealed zip and completed with your choice of filled cushion pad - fibre or duck feather. Alternatively you can choose just to buy the cover if you already have a cushion pad. Our cushion covers have a washable, colourfast and wear resistant finish, due to the unique printing technology used to create them, unlike many other personalised cushions available. The design is also printed right to the edge of the fabric, giving this cushion a very high quality finish. Each is then sewn with love, including a concealed zip so you can remove the cover if you need to. The smooth fabric and the squishy cushion pads make these cushions very huggable - perfect for cuddling when your loved one is not available! Cover - Faux suede. Filling - Fibre or Duck Feather. Cover is machine washable at 30 degrees. Wash inside out. This product is dispatched to you by The Drifting Bear Co.